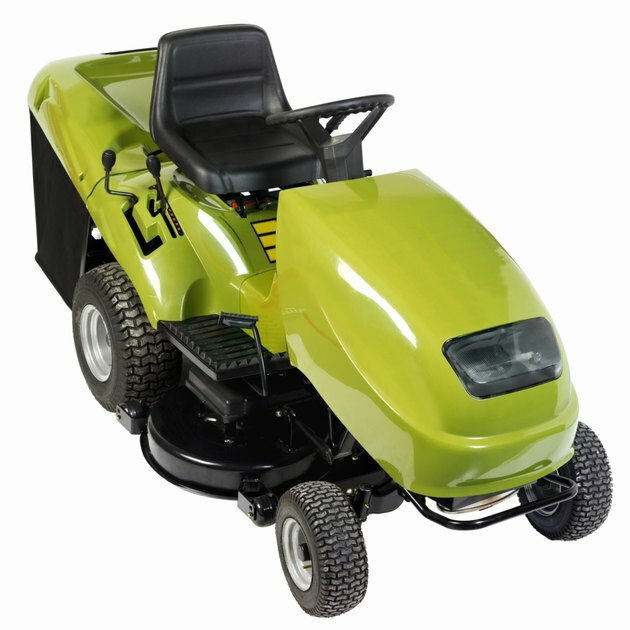 A strong gas smell emanating from a riding mower tank can be the result of a handful of circumstances. Your gas cap or your carburetor may be the source of this smell, there may be a leak in your fuel system, or the gas itself may be "spoiled"; regardless, you can clean up and make the necessary adjustments to your mower, and eliminate the gas smell, even if you have no experience with troubleshooting riding lawn machines. 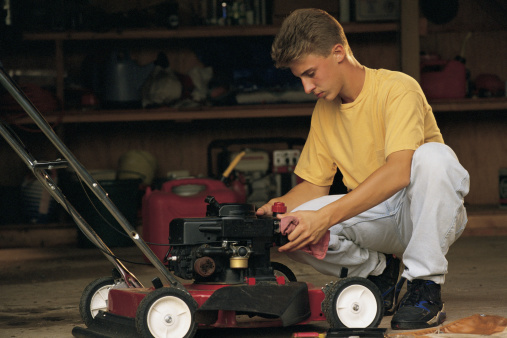 You may have to drain your riding mower's carburetor. Park and turn off your riding mower. Check the cap on your mower's gas tank to ensure the cap is screwed tightly on: Spin the cap completely off, then wipe away any gas on the exterior of the mower around the cap using a cloth. Take note of the grooves or threads on the cap and on the tank filler neck; there should be no evidence that they have been distorted. Seat the cap lightly on the filler neck and screw it on securely. Open the hood concealing the engine on your riding mower tank. Look along the left side of the engine for the distinctive bowl-shaped part. This is the carburetor. Follow the hoses or metal fittings away from the carburetor leading to the gas tank. Inspect closely for leakage on the conduit material as well as at the fittings. Tighten the fittings if a leak appears to emanate from the fittings, or replace the hose or metal conduit if it has been breached. Look at the bottom of the carburetor bowl to find its bolt. Place a dish under this bolt, and loosen and remove the bolt using a socket wrench to drain the carburetor of gas and excess fluids. Unscrew the now loosened mower carburetor bowl with your hands. Clean out the inside of the bowl with a cloth and carburetor cleaning solution. Screw the carburetor back into place on the mower's engine. Reinsert the carburetor bolt into the bottom of the bowl with your socket wrench. Close the engine hood on your riding mower.